"BAH! 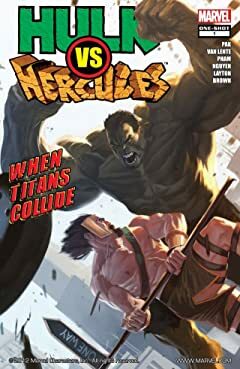 HULK NEED BIGGER BOOK! HULK SMASH PUNY BEARD SKIRT MAN!" Calm down, big fella. You're going to need your strength when you go up against the Lion of Olympus, the INCREDIBLE HERCULES! 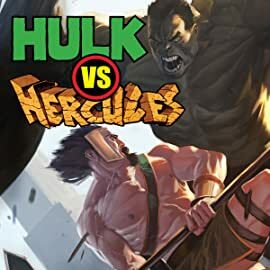 We're bringing you a BRAND NEW story with THE most SMASHING, CRASHING, BASHING, MASHING and LASHING you've EVER witnessed, and THEN we're giving you some of the greatest HULK and HERC stories from yesteryear!